This clutch is superb just like its name. It’s a stylish party clutch, perfectly add more style to your look. This clutch is suitable for any style of clothes and makes you more fashionable, confident and elegant. It has enough space, carrying all your essentials like lipstick, eyeliner, cards, money etc, all at one place. It's a perfect gift for Valentine’s Day, Mother’s Day, Birthday, X-mas, Anniversaries etc. Gift this clutch to your mother, sister, or friend to make them feel special. So what are you waiting for? 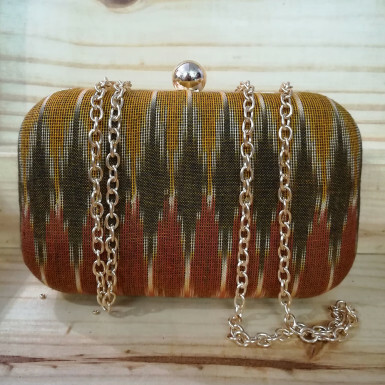 Order this superb-looking clutch online from Winni.